Purchasing wood floors depletes forests. Investing in wood flooring doesn't make sense if you plan to move. Wood floors don't provide any warmth to a room. Wood floors tend to show dirt and dust more than other flooring options. Cutting down trees to make wood flooring contributes to global warming. Wood floors can't stand up to wear and tear from young children and pets. Engineered wood floors are not real wood floors. 1. Wood floors are expensive. 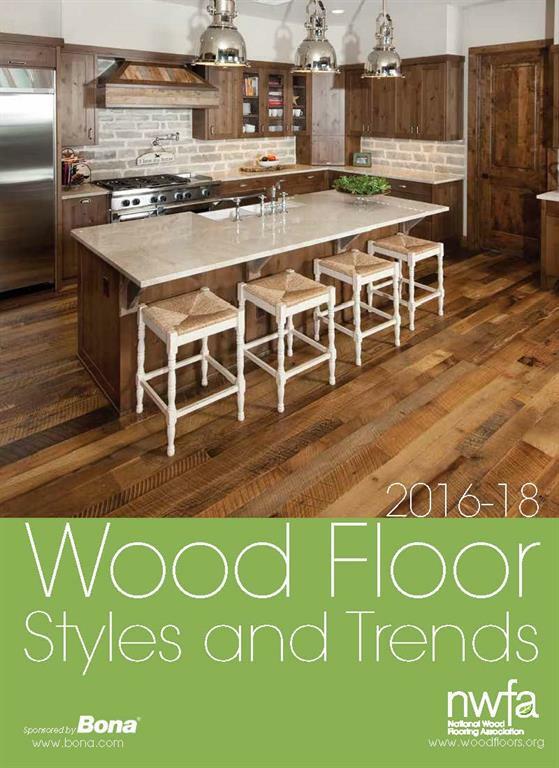 Wood floors initially may cost more than other flooring options, but over the long-term, wood flooring is actually one of the most cost-effective flooring options available. 2. Wood floors are hard to maintain. Wet mops and steam mops should be avoided because excessive water and steam can dull the finish over time, or even damage the wood itself. When spills occur, they should be cleaned immediately with a dry or slightly damp cloth. When the floor begins to look a little dull, using a wood flooring cleaner recommended by the installer will help renew luster. If you are not sure which cleaner to use, visit a reputable floor covering store for a recommendation. 3. Wood floors can scratch easily. All flooring options will show some wear over time, but wood flooring is the only flooring option that can repair that wear to make it look new again. Most scratches in wood flooring will occur in the finish, not the wood itself. These can be repaired with a maintenance coat in which the finish on the flooring is lightly abraded and then a new coat of finish is applied. This process is much like refinishing a piece of furniture where the old furniture is lightly sanded to give the new paint something to adhere to. Scratches on wood flooring can be prevented and minimized by placing throw rugs at all entryways from outside, putting felt pads on furniture legs, clipping pet nails, and avoiding walking on floors in athletic cleats or high heels in disrepair. 4. Purchasing wood floors depletes forests. Through sustainable forest management, wood can be harvested with minimal impact on the environment because trees are a renewable natural resource. According to the US Department of Agriculture Forest Service, for every cubic foot of hardwood harvested in the US, 1.66 cubic feet is planted in its place. This has resulted in a 90% increase in standing hardwood volume in the US since 1953, which currently is about 328 billion cubic feet. 5. Investing in wood flooring doesn't make sense if you plan to move. 6. Wood floors don't provide any warmth to a room. Wood floors actually can contribute to the warmth of a room, both aesthetically and in terms of insulating capacity. Wood as a building material has excellent insulation properties. It has 10 times more insulating capacity than steel or aluminum, and five times more insulating capacity than concrete or cinder blocks. As a flooring material, wood retains warmth from heating systems, both from HVAC systems and radiant heat systems, increasing the overall physical warmth of the room. 7. Wood floors tend to show dirt and dust more than other flooring options. The dirt and dust that is visible on wood flooring is on other flooring options as well, it’s just not as obvious. This is an advantage of wood flooring because it does not harbor dust, mold and animal dander. It’s easy to see and easy to remove, which improves indoor air quality, an advantage for allergy sufferers. 8. Cutting down trees to make wood flooring contributes to global warming. 9. Wood floors can't stand up to wear and tear from young children and pets. Wood floors can stand up to any lifestyle. Different species of wood have different durabilities and hardnesses, which are measured using the Janka scale. The Janka scale rates how likely it is that a wood species will dent or show other wear. For example, the Janka rating for domestic black walnut is 1,010, while the Janka rating for Brazilian walnut is more than three times higher at 3,680. The Brazilian walnut species is likely to be much less prone to showing wear and tear. Finish can contribute to minimizing wear and tear on wood flooring as well. There are many finish products on the market today that can withstand heavy consumer traffic, like in restaurants and malls, so there are options that can stand up to busy family life as well. 10. Engineered wood floors are not real wood floors. Engineered wood floors are real wood floors. They are manufactured using multiple layers of wood or wood composite veneers. Other laminated flooring products may look like wood, but not actually be made of wood at all. With engineered wood flooring, the only non-wood components used to make them are the adhesives used to bind the veneers together, and the finish that is applied to the top veneer to protect the wood. 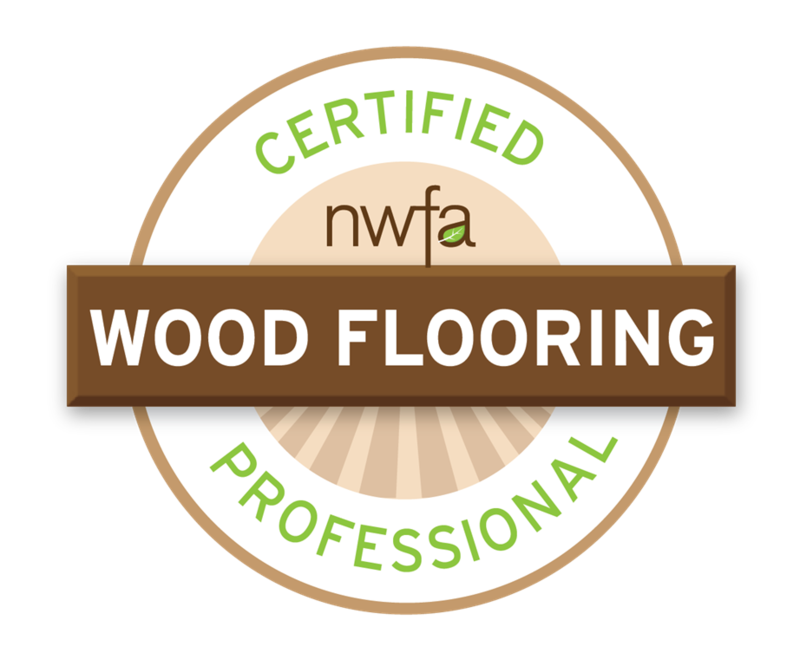 Many people believe that solid wood floors are better than engineered wood floors, but it’s important to note that both are made using real wood. In addition, once installed, they will look the same.